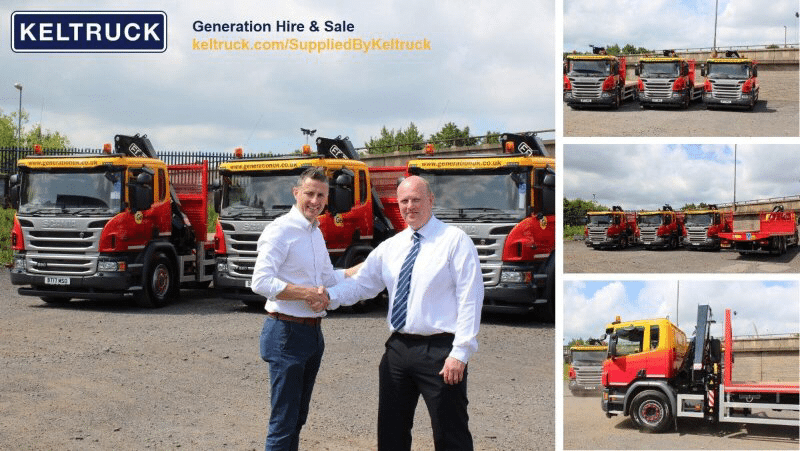 Jamie Whale from Generation Hire & Sale has been working closely with Keltruck to design and deliver 6 new Generation trucks. The first 4 of 6 trucks are about to be delivered within Generations nationwide depots. The chassis cabs are custom painted by Keltruck West Bromwich and have 2 Pedal Opticruise, Full Colour Instrument Cluster, Factory BLUETOOTH plus Factory Fitted Beacons. Well done to Jamie for all his hard work to make this possible.